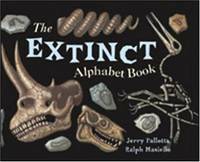 Jerry Pallotta is an award-winning author of children's alphabet books and imaginative fiction. His books combine interesting facts, detailed research, humor, and realistic illustrations that mesmerize children everywhere. Charlesbridge. PAPERBACK. 088106470X Item in good condition. Textbooks may not include supplemental items i.e. CDs, access codes etc... . Good. Charlesbridge. Used - Good. A sound copy with only light wear. Overall a solid copy at a great price! some highlighting All orders guaranteed and ship within 24 hours. Your purchase supports More Than Words, a nonprofit job training program for youth, empowering youth to take charge of their lives by taking charge of a business. Charlesbridge. Paperback. POOR. Noticeably used book. Heavy wear to cover. Pages contain marginal notes, underlining, and or highlighting. Possible ex library copy, with all the markings/stickers of that library. Accessories such as CD, codes, toys, and dust jackets may not be included. Charlesbridge Publishing, Incorporated, 1993. Paperback. Good. Disclaimer:A copy that has been read, but remains in clean condition. All pages are intact, and the cover is intact. The spine may show signs of wear. Pages can include limited notes and highlighting, and the copy can include previous owner inscriptions. At ThriftBooks, our motto is: Read More, Spend Less.Dust jacket quality is not guaranteed. Charlesbridge Publishing, Incorporated, 1993. Paperback. Very Good. Disclaimer:A copy that has been read, but remains in excellent condition. Pages are intact and are not marred by notes or highlighting, but may contain a neat previous owner name. The spine remains undamaged. At ThriftBooks, our motto is: Read More, Spend Less.Dust jacket quality is not guaranteed. Charlesbridge. PAPERBACK. 088106470X Ships from Tennessee, usually the same or next day. . New. 1993. Charlesbridge. Paperback. 088106470X LIKE NEW/UNREAD!!! Text is Clean and Unmarked! Has a small black line on bottom/exterior edge of pages. . Fine. 1993-07-01. Charlesbridge. Used - Very Good. Great condition for a used book! Minimal wear. Charlesbridge. Used - Good. Shows some signs of wear, and may have some markings on the inside. Charlesbridge. Very Good+. 1993. Paperback. 088106470x . Jerry Pallotta's Alphabet Books; 9.80 X 7.80 X 0.30 inches . Charlesbridge. PAPERBACK. 088106470X Remainder mark . Fine. Charlesbridge. PAPERBACK. 088106470X . New. Watertown, Massachusetts, U.S.A.: Charlesbridge Pub Inc, 1993. has edge wear with creasing, contents are clean title page is signed by Jerry and dated 2000 also a note to former owner with her name. Signed by Author. Paper. Very Good. 8vo - over 7¾" - 9¾" tall. Charlesbridge, 1993-07-01. Paperback. Fine/No Dust jacket. signed AND INSCRIBED BY THE AUTHOR ONTITLE PAGE. TRACKING INCLUDED ON ALL DOMESTIC AND PARTICIPATING INT'L DESTINATIONS. Free upgrade to 1st class shipping. Trust an experienced independent bookseller since 1988. Orders are shipped daily via USPS with delivery confirmation. Charlesbridge. Collectible - Very Good. Signed Copy Collectible - Very Good. Signed/Inscribed by author on title page. Charlesbridge. Used - Good. Good condition. Charlesbridge. Used - Very Good. Very Good condition.